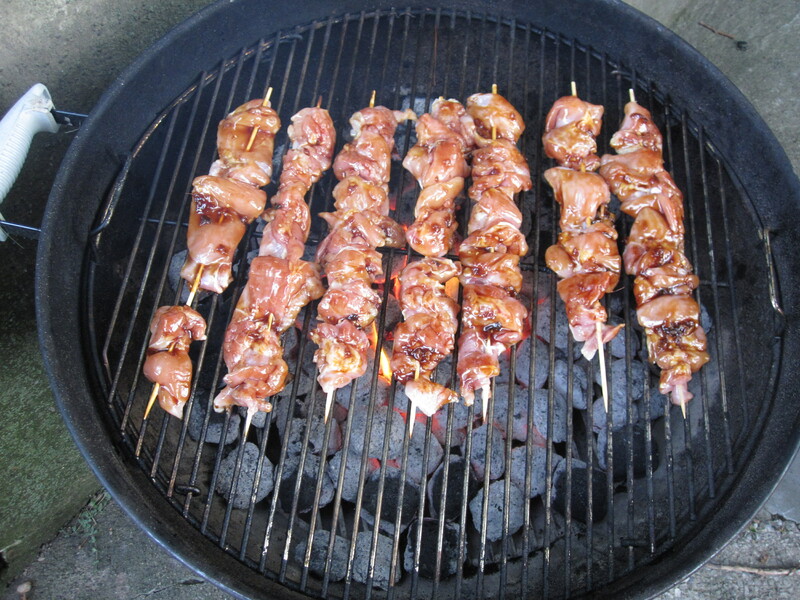 I trimmed the boneless skinless chicken thighs a bit as they are fairly fatty and skewered them on water soaked bamboo skewers and got the grill started. Since we were going all out on the sauce and all, I wanted to go all out with the grill and use charcoal. 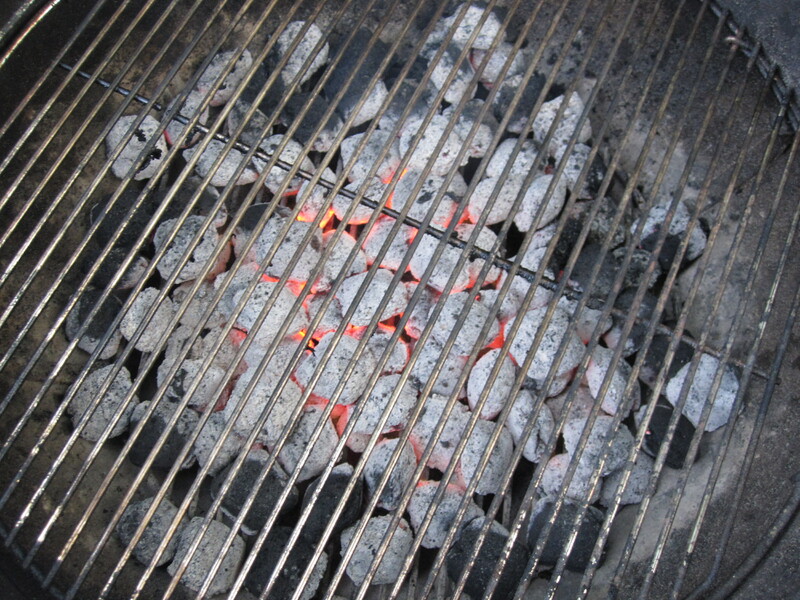 A hot charcoal grill that is ready to be used is a lovely site. 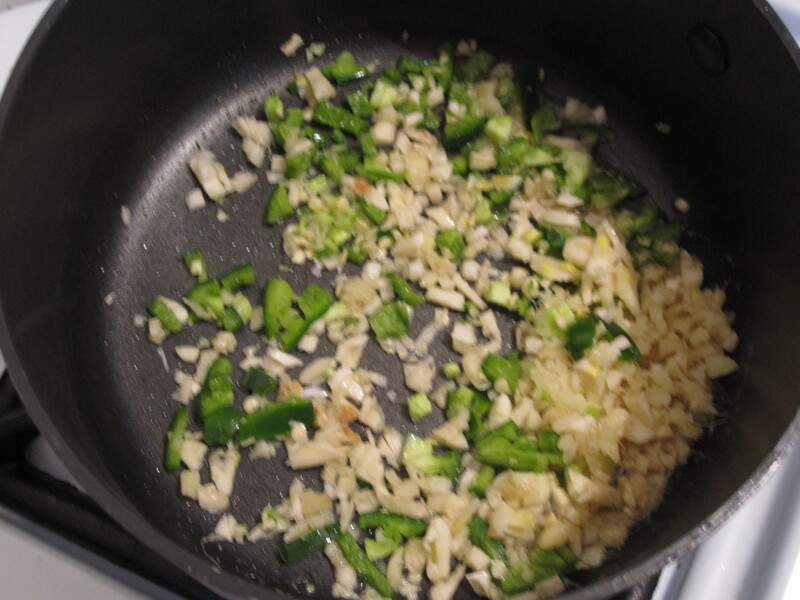 Onto the sauce which started by sauteing fresh chopped garlic, ginger, and jalapeno. 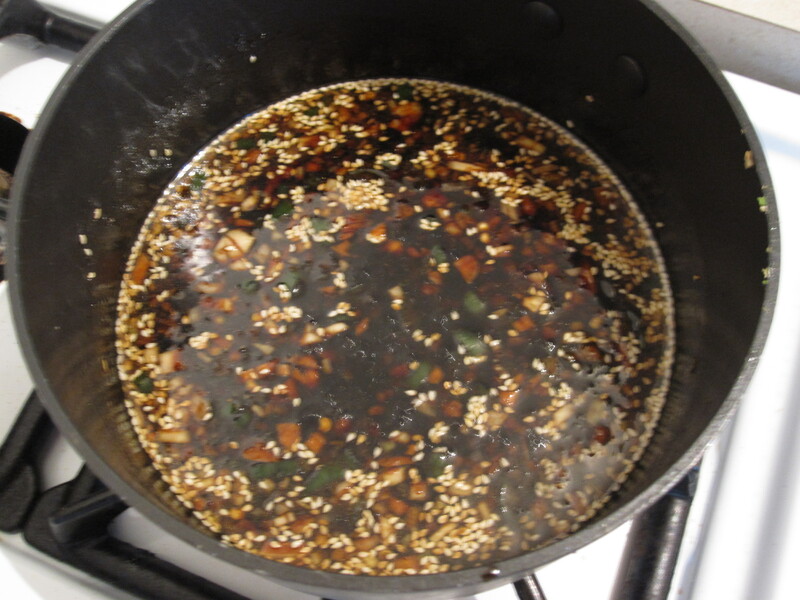 Then I added the liquids and sesame seeds and continued to simmer for a while. 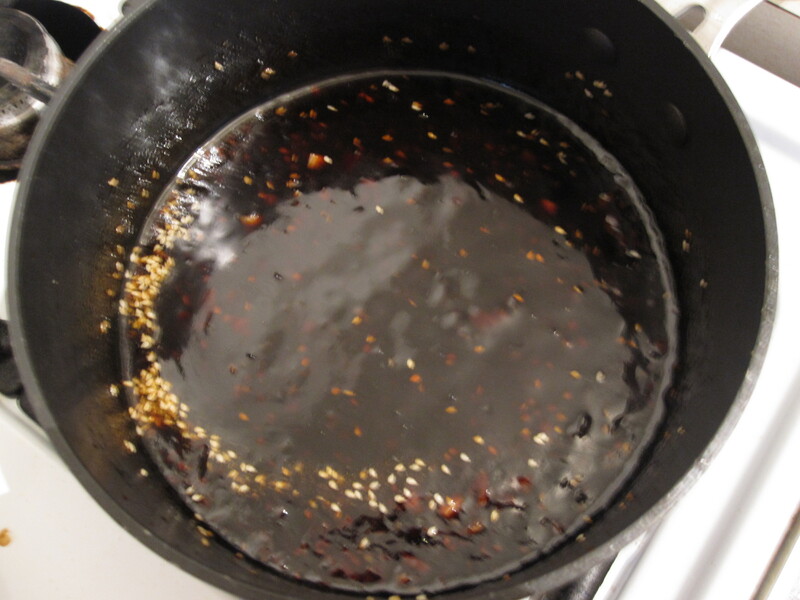 The sauce wasn’t as thick as I had in mind because it to be a thick glaze that would stick to the chicken well and be able to be basted easily while on the grill. So I added some cornstarch mixed with water and the sauce thickened to the perfect, back of a spoon covering consistency. I basted the chicken before putting it on the grill and basted a few times while on the grill. I also reserved some sauce before using it on the chicken for dipping later on. 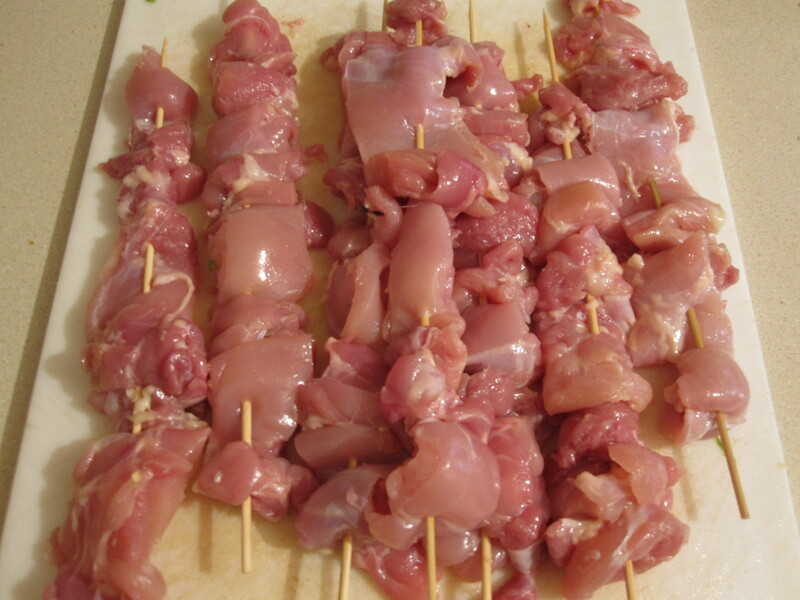 Remember that once you are brushing the raw chicken and dipping the brush back in the sauce, it is best to not use the sauce unless it will be cooked so that is why I put some aside at the beginning. 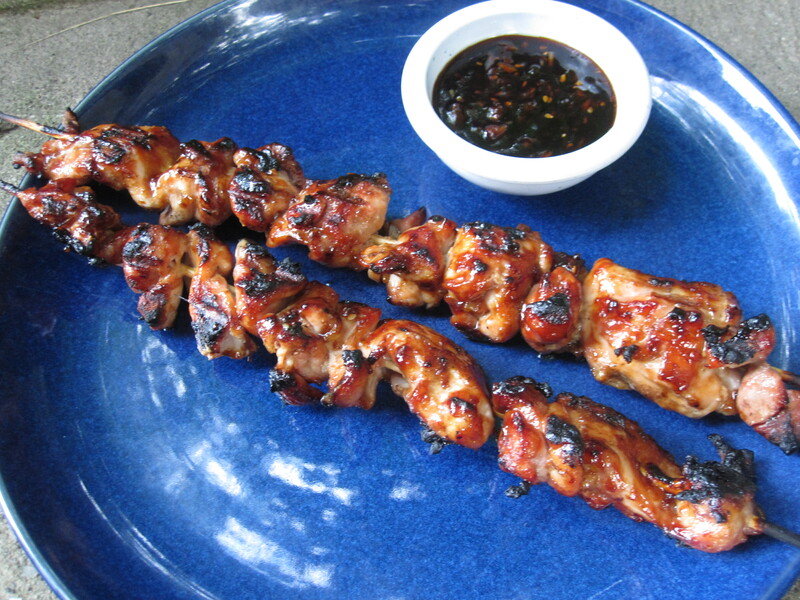 The hot grill and sticky sauce made for a great glaze that really took to the chicken and thoroughly covered it. 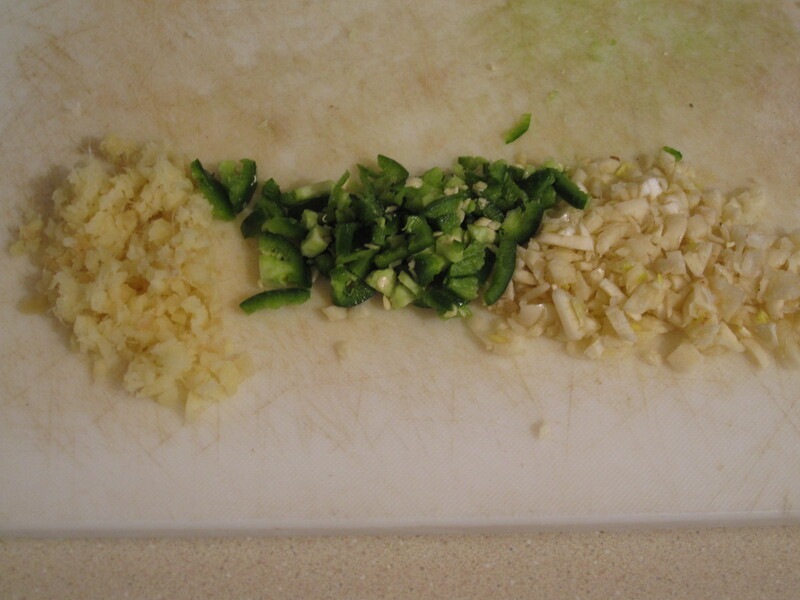 The sauce was so potent and covered the chicken so well that the dipping sauce was not really needed. Eat them off of the stick and get your cheeks all sticky or pull them off with a fork like a wuss! 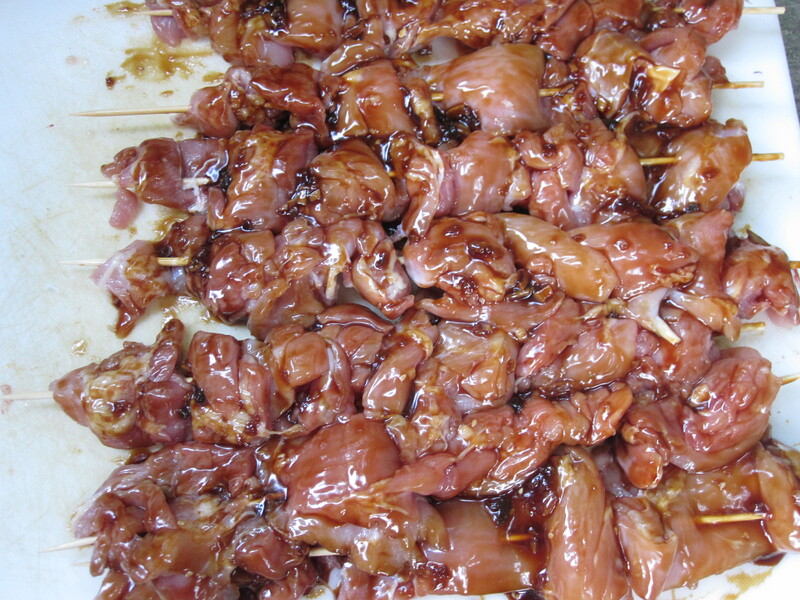 This entry was posted in Asian, Chicken, Sauces and tagged boneless, bourbon, chicken thighs, Chinese, cornstarch, garlic, Ginger, glaze, jalapeno, sesame seed, skewered, skinless, soy sauce, street style, teriyaki. Bookmark the permalink.